People have used hot springs for thousands of years to provide stress relief, relaxation, and an enjoyable way to socialize. Since the 1940’s, we’ve discovered ways to get the same benefits through the use of hot tubs, which are far more convenient when they’re a step outside your door! Choosing a hot tub these days can be dizzying – the array of different colours, sizes, shapes and options seem endless. Read on for a breakdown of things to consider when buying a hot tub. It may seem insignificant, but if your hot tub is sitting out on your deck, it can be a beautiful focal point if you pick something that complements your deck colours. Choose the cabinet colour to work well with the surroundings and then pick your shell colour with the hot tub use in mind. Relaxing soaks may be better in a more neutral shell, while a party tub may best suit fun, bright colours to set the mood. Think about how many people you’ll regularly have in your hot tub at any given time. A tub for mainly just your family use will be an easy choice but if you regularly have company, think about how many people you’ll want to comfortably accommodate. The shape of your hot tub will most likely be limited to some degree by how many people you’ll regularly want to seat. There are a wide variety of jets on the market, but they can be broken down into 4 main categories to help you make some choices. Pressure point jets are pretty self explanatory; they work towards stimulating pressure points on your body. Whirlpool jets are great for deep muscle massage. Therapy jets can have a swirling motion in either rotating or stationary action. Relaxation jets offer a more soothing, gentle massage. A hot tub is best outfitted with several types of jets so you can switch up your type of soak depending on what you need. If you are also looking for more ways to ease muscle pain you can try yoga and gentle stretches to help alleviate any pain. There are a number of lighting options when it comes to your hot tub so probably the easiest way to choose from among them is to first determine what mood you’ll be most trying to set. Romantic soaks with your spouse will call for different lighting then after dinner soaks with the family or even get togethers. Your hot tub lights will need to be functional as well as decorative. Once you’ve determined which suits you the majority of the time, you can opt for some other lighting features to change it up. 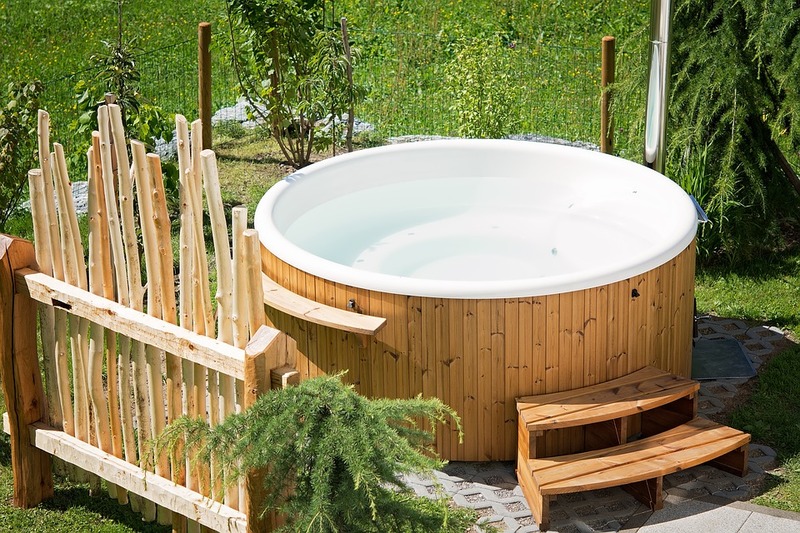 Besides choosing the shape, size, lights, colour and jets, you have a few other options which can certainly heighten the enjoyment and benefits of your hot tub. A waterfall is a lovely and soothing addition especially if you like the sound of running water. For music lovers, a built in stereo system can help set the mood for either a relaxing soak or party time. Whatever your personality, a hot tub can be a wonderful addition to your home as it provides stress relief and is a great source of entertainment. The Ultimate Irish Home – What To Look For In A Home! Whether you were born and raised in Ireland or you’re seeking to move to the emerald isle in the near future, it’s well worth continuing reading to discover 4 attributes which are well worth searching for in an Irish home. As Irish winters can be frosty, it’s well worth looking for a modern property or a recently renovated property which boasts central heating. As central heating will ensure that every room in your new home will be warm and toasty, during the long, cold winter months. If a home which you’re interested in doesn’t boast central heating, make sure that it at least boasts a traditional, wood fireplace. Which will add plenty of charm to your Irish property as well as well needed warmth. Just make sure that there are no problems associated with the property’s fireplace as such issues can be expensive to repair and could set you back several thousand dollars. If you’re interested in moving in to a home which feels spacious, it’s well worth opting to purchase a home which boasts a large, open plan living area with nice floors and room for furniture. As an added benefit if you opt for a home which doesn’t feature walls between your dining room, lounge and kitchen, it will be far easier for members of your household to talk to each other when they’re participating in different activities. Such as watching television, eating or cooking. When it comes time to tour available properties, also keep an eye out for bedrooms which offer a large, master bedroom, which will offer plenty of space for your belongings. As some older styles of property in Ireland, feature small single bed style rooms, which aren’t practical for modern day life. In fact, if you’re passionate about fashion, you may even want to splurge on a property which offers a walk in wardrobe. It’s also worth looking out for a property which features a master bedroom which offers its own en suite bathroom. As ideally your chosen property should have a minimum of two bathrooms. Especially if you plan on having family members or friends stay the night on a frequent basis. If you love spending time cooking up a storm in your kitchen, you’ll be able to find a charming property which boasts a kitchen which offers spectacular views of the countryside or of a charming village or town. 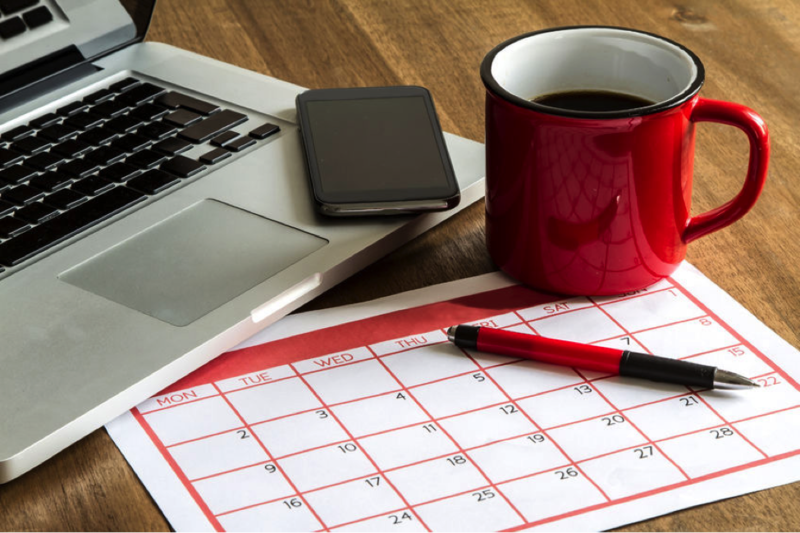 Alternatively, if you’re excited about the possibility of working from home and running your own business, you might want to pick a home which boasts a spare room, which you can re-purpose as a home office, which offers garden or countryside views. 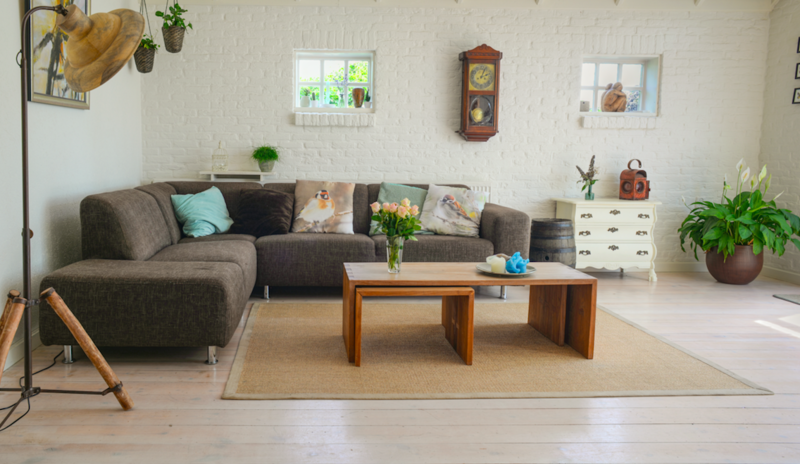 You may also want to consider home insurance to help protect your new beautiful living space. Take the time to research companies like Chill insurance, that can help assist you in finding the right protection and coverage for your home. 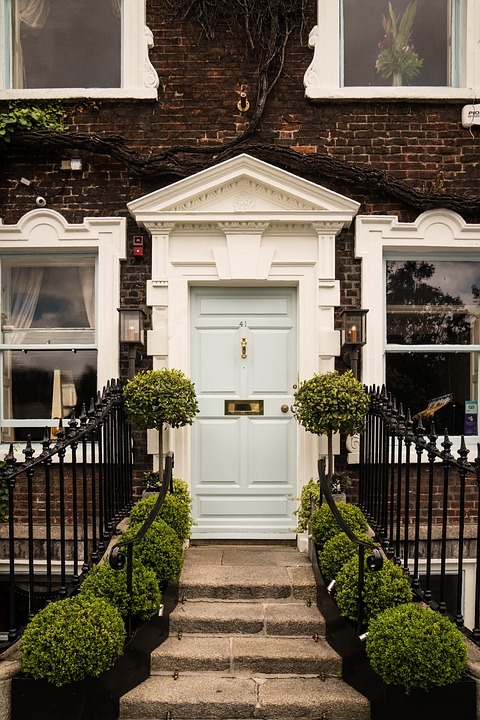 So, if you’re looking to purchase a new property in Ireland and want to ensure that you make an offer on the perfect property for your lifestyle, it’s well worth searching for a property which offers all of the four attributes listed above! When you’ve spent your hard earned cash on a nice new floor, its particularly annoying when you start to notice imperfections. Whether you’ve dropped something and caused a dent or just noticed some general wear and tear, the appearance of your floor will always be affected by everyday occurrences. While all floors have a general life span, there are definitely ways of helping to increase the usability of your floor over the years. 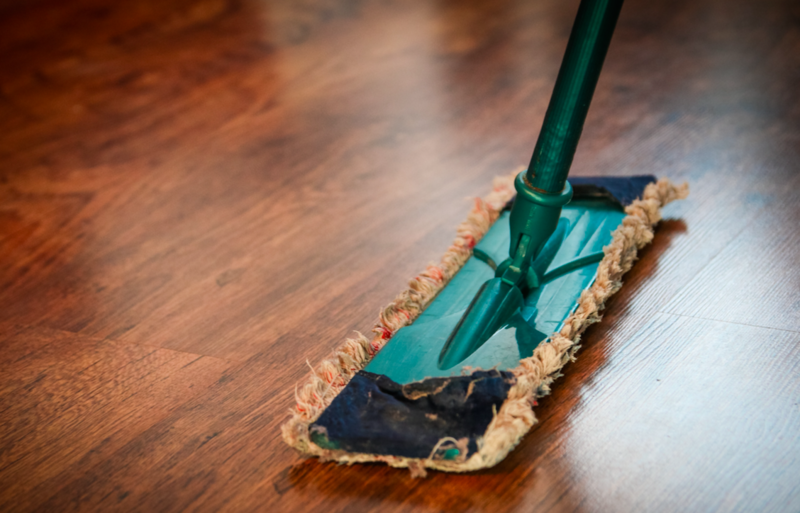 If it is solid wood, engineered or any other type of floor, sweeping regularly will help to remove dust and debris that could scratch your floor. For a more in depth clean, use a hoover. Hoovering once a week can really help to stop dirt from settling on your floor and will further improve the air quality of a room. Similarly, any kind of liquid spill should be immediately dealt with as any long standing spillage can cause moisture damage or even stain the floor. Everyday sweeping and vacuuming won’t be enough long-term. Its a good idea to get a good mop in to your routine too. Every month or so, take a damp mop to your floor to, not only improve hygiene, but to keep your floor looking and feeling brand new. Never use an excessively wet mop since, as we mentioned earlier, too much liquid can cause damage to more natural products such as a solid or engineered wood. When looking for a new floor, its crucial that you look out for the finish. Different finishes have different looks and textures, so picking the right one for your home is imperative. You can either buy your floor already pre-finished or opt for an unfinished product and do it yourself if you’re a DIY fan. If you have a parquet flooring for example, then a lacquer finish might be your best choice. A lacquer sits on top of the product where as an oil finish soaks into the grains of the wood. A lacquer finish will help to make the floor every so slightly water resistant, but only by a marginal fraction. Do not consider this finish waterproof by any means. It is a good idea to keep an eye on your floor as it may need sanding after a decade or so. Re-sanding and finishing your floor will, again, keep it looking and feeling fresh. Aside from your general maintenance, there are also a few other ways of helping to increase the life of your floor. Using rugs for example will help to protect your floor against scratches which is ideal if you have pets and or kids. Some floors are susceptible to UV light which can lift the colour over many years. To avoid this, try drawing the curtain or blinds when your floor is in contact with direct sunlight. This only really applies to some solid wood floors, but its very important you check all of manufactures guide when buying a new floor for any of these particulars. Throughout its history, yoga has been more than just a way of teaching. It has been a way of life. You would commit yourself to a culture and lifestyle that included meditation techniques along with specifically devised moves to keep your body intensely occupied even when still. It gave a rundown of healthy eating habits, bathing habits, interpersonal interaction tactics, and working habits. The philosophy of yoga circles around the physical practice to achieve health and enlightenment. Every yoga pose that exists, is designed to provide us multiple benefits. For example, the downward facing dog is a posture that not only engages the body for weight loss, but also soothes the brain, improves the digestive system, strengthens arms and legs, and regulates blood pressure. Similarly, there are poses in yoga which would provide various benefits to your body. And, unless you do the pose wrong or incur a physical injury, the effects of doing yoga will always be beneficial. Many of us take weeks and weeks of yoga classes, which is a good decision. Yoga has always been credited with providing health benefits like weight loss. However, the majority of the practitioners do not know of the benefits beyond that. The reality is that there is an overabundance of benefits yoga provides that we are totally unaware of. A research that was published in the Journal of Psychiatric Practice states that yoga can help people keep bipolar disorder in check. Bipolar disorder is a mental health condition which can affect your energy and mood levels as well your ability to function normally. People who are suffering from bipolar disorder exhibit “episodes” in which their mood fluctuates suddenly and intensely. Stress has known to worsen this state. Poses such as the eagle pose, staff pose, seated forward bend, and dolphin pose is known to help those suffering from this disorder. As mentioned above, stress is known to worsen the episodes of bipolar disorder. Not only that, it also affects those who suffer from bouts of stress and anxiety every day. According to MayoClinic, yoga is known to diminish the destructive effects of stress and anxiety. When we are stressed out, our bodies tend to lose the capability to regulate our inflammatory response which would lead to us suffering from a string of diseases in the future. A lot of studies have discovered that yoga is a more powerful treatment for chronic back pain than conventional medications. According to studies, people with chronic back pain reported experiencing some relief from time to time after doing yoga for some months. Since yoga moves require holding your own weight while being still in a certain position for long periods of time, it is evident that yoga helps us in strengthening our bones and increasing bone density. Due to these, and several other benefits, yoga has been continuously recommended by doctors to patients who want to achieve a healthy lifestyle. here are a lot of people who wish to be successful but there are very few who actually succeed. In order to actually acquire success, you need to cultivate yourself just as you would a garden, so it yields better results. What is actually mean by that is that you can wish all you want but success will not just come to you. You will have to attract it to yourself by bringing some changes in yourself. You have to do the right things, behave a certain way, and speak the right things in order to actually be successful. The truth is that there is no secret to success and no path that guarantees you success. 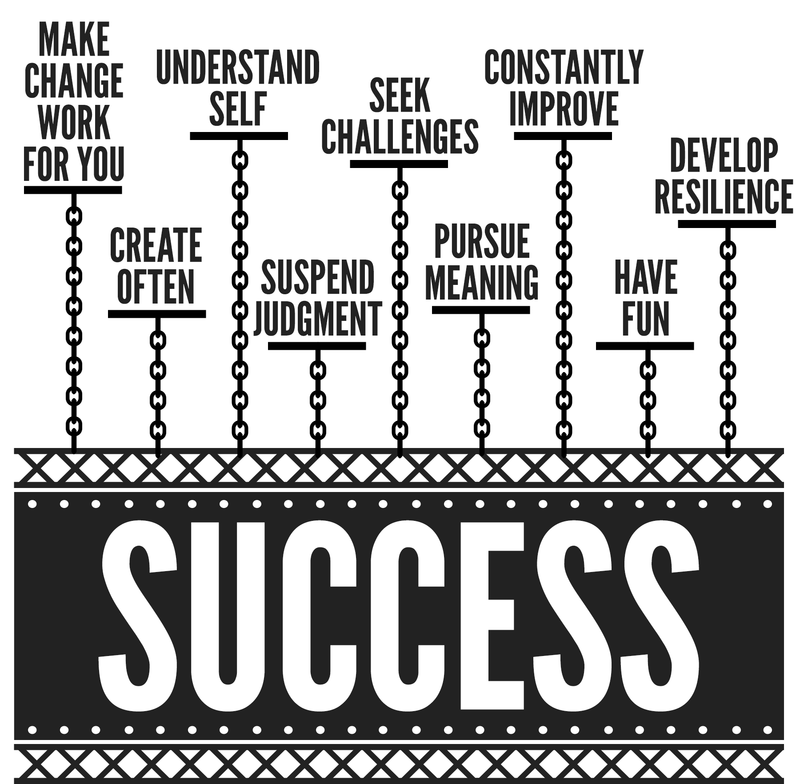 There are, however, some key traits successful people share that undoubtedly contribute to their success while others face failure. You need to be able to take large calculated risks. This seems like a terrifying prospect, especially when money is involved. But if you look at the numerous successful people whom we know of today around the world, Bill Gates, Steve Jobs, Elon Musk, and Oprah Winfrey etc., you will notice that they have taken gigantic risks in order to ensure success. Though you should be careful to not just take any sort of risks, you need to weigh the pros and cons and then proceed. All the things in this world have a possibility of failure but that should not hold you back from taking risks. A lot of people may have the talent and the qualities but the trick is to use those qualities and work hard to get what you want. You need to show moxie, determination and put in hard work to get what you want. That does not mean you should be a workaholic. The key is to dedicate quality time to work towards your goal. You will face some setbacks on your journey to success. That is something very obvious and unavoidable. But that does not mean give up. You should admit to yourself that you made an error in judgment and that lead to you facing an obstacle. It does not mean that you should completely abandon your cause, learn from your mistakes and try harder the next time. Life is all about change. You can never plan and expect every single detail to go as planned. You need to keep in mind that there will be some glitches along the way that will force you off the path and you will have to learn to adapt. When you are aware of this then you can go smoothly along your way. But if you are way too stubborn and dead set in your ways, you will certainly suffer failure. Success is a long and bumpy ride which you need to be prepared to be on till you reach your destination. With certain levels of optimism and determination, mixed with logic, you can have the success you have always dreamt of. Jobs are generally monotonous and that is why you often feel weary at work. Having a beautiful, exciting workstation that makes you look forward to work is an idea that is known to beat work life blues. Several studies suggest that the livelier the office space, the more productive you are. This is the reason why many small and big corporations are working on workplace designs to make employees feel motivated. Below are several ways you can enhance your workstation to increase motivation and productivity. If your office space is capacious, it is a good option to include a beautiful wooden shelf to place decorative pieces in. You can place crochet balls, cool stuff toys, sculptures, souvenirs, small flower vases, some books and other keepsakes in the shelf to give your workstation a stylish feel. Whether or not you love or have thought of keeping fresh flowers around, they keep you refreshed and energized throughout the day. Many studies even suggest that seeing fresh flowers in the morning can help you beat the morning blues. Bring in a sleek, stylish vase and place it on the side of your desk. On your way to work every day, grab a bunch of flowers you like and place them in the vase to make it a good day at work. If you have a thing for real plants, it is a pleasant idea to sow a plant of your choice in a small pot and let it grow in your very own workstation. Like flowers, plants are also known to keep you fresh and invigorated and you can even benefit from them depending on the type they are. Selecting a color scheme and implementing it is good idea for your office space to look organized and appealing. You can include picture frames, ornamental flowers, show pieces, penholders and other stuff following the same color scheme and that will completely alter the way your workstation looks. Lights never fail to amaze us and are never too many, especially when it comes to decoration of homes and offices. You can add a lamp, a string of small lights, or other similar lights to enhance the look of your cubicle or room. Generally, yellow and blue lights are used to enhance workstations; yellow ones keep the environment brightened up whereas the blue ones you keep you calm and energized. When all else fails to interest you, try bringing largish, uniquely shaped stones and shells of different types. Take those stones and smother them in colors of your choice (preferably bright colors to make them prominent), let them dry, and place it on different spots in your workstation. These stones even act as holders for books, files and other items that would not stand straight without support. If you want something that is useful and lends a decorative touch to your workplace environment, there is no better choice than including these stones. Head out to the market and shop for these decorative items to make your workstation look more appealing.